If you're interested in helping your child become a more proficient reader, you may want to invest in a few children's books with sight words to add to your home library. Learning sight words is a key component in developing a child's literacy skills. Phonics skills help kids learn to sound out unfamiliar words, but there are certain words in the English language that don't follow these established patterns. These words are called "sight words" and must be memorized in order to achieve reading fluency. The Dolch word list is a compilation of the most common sight words. There are 220 words, plus 95 additional nouns, in this list. The total word list is broken down into various grade levels, starting with preschool. 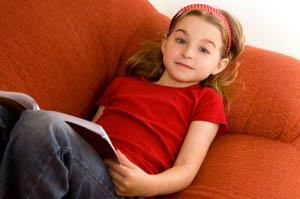 Many of the sites offering free online books for kids have sight word resources available. For example, Hubbard's Cupboard has a section of its site devoted to free printable children's books with sight words.Printable worksheets can also be a good resource for helping children who are struggling with certain sight words. You can find a variety of free printable activities for young readers on the edHelper Web site.